Team Psych is a Triathlon club that has been based in Tampa since 1991. 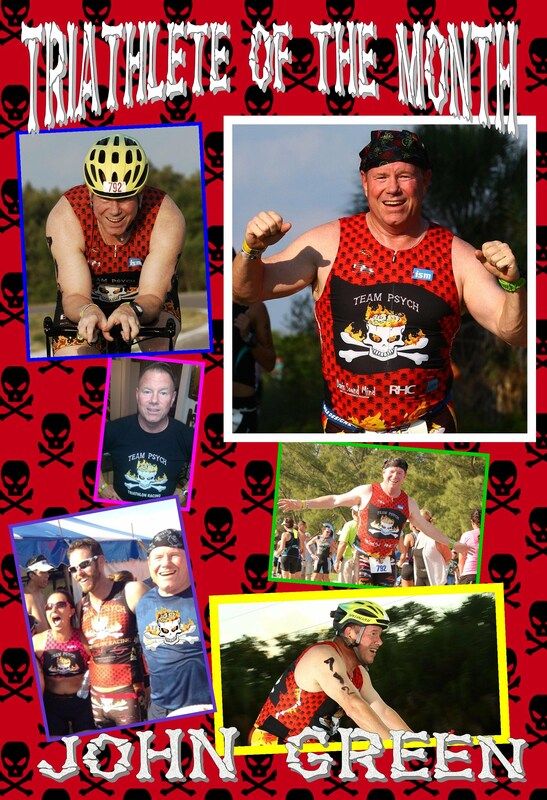 However, after a major graphic makeover by Co-Founders, Mark Davis and daughter Nicole Davis lead the Flaming Skull that has the Florida triathlon circuit buzzing! Join this Tampa Triathlon Club and see for yourself. This is a great club for the Tri Virgin to the seasoned Triathlete. A club where everyone is treated like a sponsored pro. Aside from a flaming skull and crossbones logo, (which Triathlete magazine editor Brad Culp calls “the most evil team logo I’ve ever seen”) what sets Team Psych apart is our motto: “Train Hard, Race Fast, Party On, Give Back”. Proceeds from our frequent raffles and drawings, go to our current charities; Success 4 Kids & Families and our own Triathlon for Troops. In 2011 the team is officially a 501C3 Charity Organization. Team Psych members race in multi-sport events as well as runs, cycling events, and swim events across Florida every month of the year. With the amount of interest our team has garnered, your company is sure to become familiar to thousands of multi-sport athletes in Florida and across the country. Team Psych prides itself on friendly, outgoing members who represent our sponsors to the best of their ability.